I thought you might. 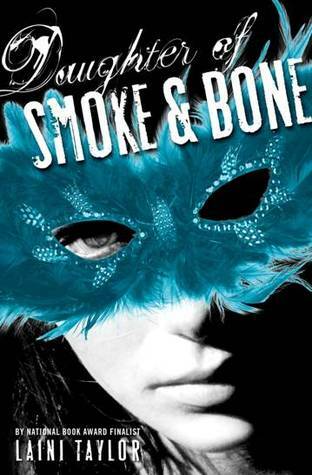 And even though the year isn’t quite finished yet, I think it’s safe to make this proclamation: Daughter of Smoke and Bone by Laini Taylor is the best book that I read in 2011. So here’s the deal. Karou, a mysterious girl with electric blue hair, leads a double life. On one hand, she attends art school inPrague, filling sketchbooks with realistic drawings of fantastic creatures. On the other hand, she often slips through a portal to another world where she runs errands for the creatures from her sketchbook, who are very real indeed. Raised by these creatures, Karou has no idea of her parentage or heritage but a fateful meeting with a beautiful and vengeful angel is about to change that. This is a fantasy novel accessible to non-fantasy readers and a young adult novel accessible to adults and young adults alike. So what are you waiting for? Check this book out and see for yourself!